You’ve got a team of worms, equipped with enough ordinance to level a continent, and you’ve got to wipe the opposing team out. 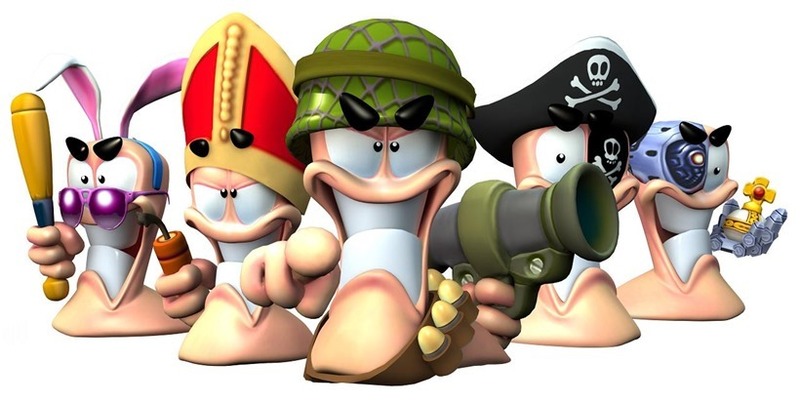 The best Worms games have stuck to a 2D format, reminiscent of that MS-DOS classic Scorched Earth. 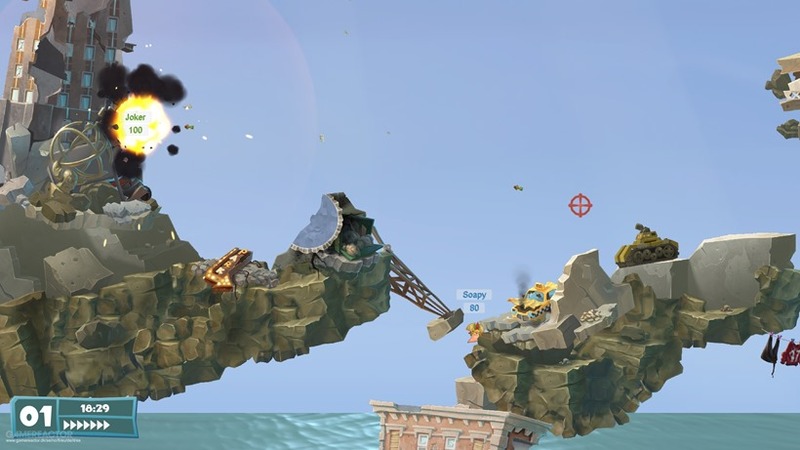 The next Worms game won’t be straying far from that formula according to Game Reactor, who revealed Worms WMD. Other big features include driveable vehicles in Worms WMD. “We didn’t want the vehicles to necessarily be a fore[gone] conclusion, as in, you get into the tank, you’ve won the game,” creative manager Kevin Carthew said to Game Reactor. It fires a barrage of shells, it’s quite hard to concentrate the tank’s fire. There’s an element of skill involved. Sometimes it makes more sense to use one of the game’s existing weapons, so we’re keeping that balance of strategy in the game. As for the landscape, players will also be able to enter buildings in the game, to survive an onslaught of holy hand grenades (HALLELUJAH) and those dreaded explosive little ol’ ladies. “They act like mini-fortresses,” Carthew said. So again it’s an area of the landscape that I’d say plays to the strategic strengths of the game. If you get inside a building, your worms that are inside the building are hidden from view to everybody outside the building. I’ve always had a soft spot for Worms, ever since I ate a dodgy roadside burger when I was on a road-trip to Johannesburg. 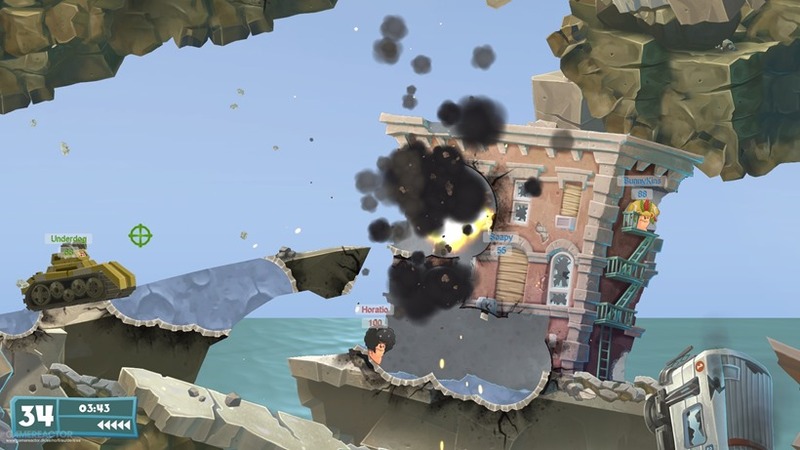 I’ve also rather enjoyed the Worms games, which haven’t left me with a case of the trots that could only be described as apocalyptic. Bring on the WMDs I say. Previous article Augmented Reality to have a bigger impact than Virtual Reality?